Better When He's Brave is the third installment in Jay Crownover's Welcome to the Point series. Each book is a standalone, though I would honestly suggest reading in order with so much going on that relates to the previous stories and characters. Though it isn't necessary to start at the beginning, I really think it adds a lot to the reader's experience rather than just jumping in here. Titus King knows that he is fighting a war that is almost impossible to win. Though he knows his city is filled with hard men and women, they are his to protect and look after and he will do whatever it takes to keep his city as safe as possible. But when Reeve Black shows up with information and asks for his help to take down a dangerous man, he knows that the real battle is just getting started. Reeve knows that Titus is the best of the best and that there is no way a woman like her could ever be what he deserves, yet she also will do whatever it takes to try and set right some of her past wrongs. But can Reeve and Titus work together long enough to take care of what they need to without being hurt or killed in the process? I liked Reeve and Titus. These two are so completely different, and yet that was what really made them work. They balanced each other out in a way that they both really needed. Titus is used to only seeing things in black and white, and Reeve definitely challenged that. Though he knew about Reeve's past and still agreed to work with her, he tried to stay away. The chemistry between them though was too strong for him to fight for long. Reeve had wanted Titus since she had met him, but she knew that because of her past actions that she wasn't the one for him. She thought he deserved better, and I was glad that she was determined to do right by him and try to make up for what she had done before. I did think that she showed how far she had come though, and I thought that she did deserve him and was glad that these two seemed to be unable to stop the connection growing between them. I will say that I thought that this story was often very detailed, to the point of being unnecessary. Things would get lost in the details and I found myself zoning out at times and wanting to skim large portions of the story because of that. I didn't need six pages to see why Reeve felt she wasn't good enough for Titus or the same for Titus to explain how bad his city was. It almost felt as though the author was trying to make sure the reader knew just how awful The Point was, and I thought that came across without needing to go to so much extra effort. I think that it was very clear how their city was, and how these characters felt that we didn't need convincing. Besides that though I did enjoy these two and seeing how they were together. 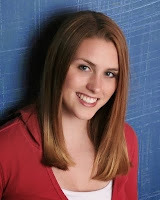 Meet Ali Novak author of The Heartbreakers. 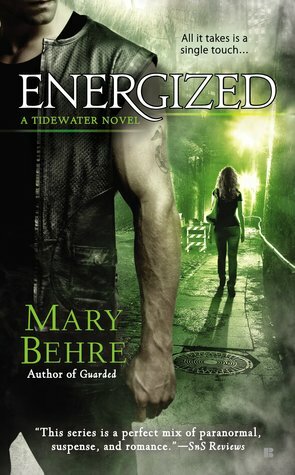 Energized is my first book by this author and my first book in this series. This also happens to be my first romance with some paranormal elements. I liked it but I didn’t love it. The book is about Hannah and Niall. Hannah has psychometric abilities which allow her to glimpse the memories of others when she comes in contact with metal objects. Niall is a soldier returned home with memories that nobody wants to have. When the two meet, Hannah sees into Niall’s memories and offer him some much needed comfort. They spend one night together and because of a misunderstanding don’t meet up again until months later when Hannah shows up in Tidewater, Niall’s hometown in search of her long lost sisters. Some other stuff happens, Hannah is the psychometric witness to a serial killer’s madness and we have ourselves a story. Hannah and Niall are trying to sort out their issues while tracking down a serial killer. I kind of liked Hannah and Niall together but there was something about the writing of this book that I didn’t love. It was just too blunt for my taste. I mean I just had an overall sense that it could have been more nuanced which would have given the characters the appearance of greater complexity. I got where Hannah was coming from as she tried to draw Niall out but I always have mixed feelings about a heroine doing that. Yes, Niall was damaged and needed to be loved back to health but there is a limit on my tolerance for a heroine who puts up with that brand of BS. I think on balance it worked in this book because I was rooting for Hannah and Niall as a couple. I think where things went a little sideways for me was in the clutter of the book. There was the story of the restaurant and the issues Niall was having with his brother. And just for fun, we get a glimpse into the brother’s POV so we can see him struggling with issues related to his sexuality. Then there were the other restaurant employees and their sub-stories. Like between Hannah and the psychometric flashes and the other girl who was reading people’s aura’s, the author was giving me a lot, maybe too much. And of course we can’t leave out crazy azz Mercy stabbing people up here and there to free them from the burden of life. We also see into Mercy’s POV. In the end all the POVs and the sub-stories just got to be a little too much clutter for me. I was interested in the story between Hannah and Niall and while all the other stuff was cool too, I just wasn’t here for all of that. So in the end I walked away feeling like this was a decent book with a pretty good mystery/suspense but it just wasn’t what I was looking for in the story. 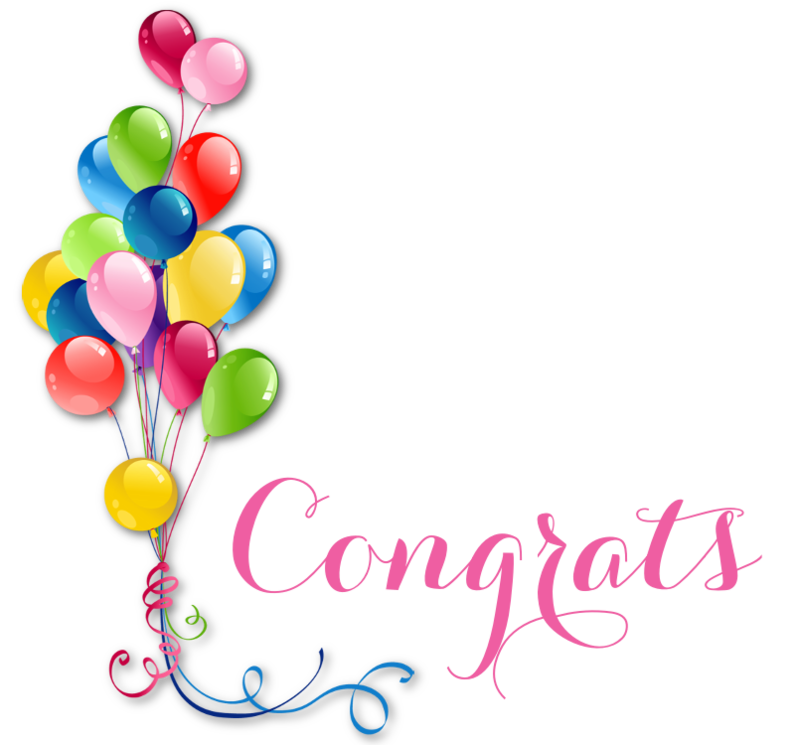 All Wound Up is the newest book in Jaci Burton's Play by Play series. With each book being about a different couple, they can be read out of order as standalones. The characters are interconnected though, so if you like to read a series in order you should know that this is book ten. I love that Jaci Burton has given us so many different stories in this series, and that they aren't always the same sport. This book features a baseball player, so if you are a fan of baseball romance stories you will want to check this one out for sure. When Tucker Cassidy gets kneed in the worst possible place by his very recent ex, the last thing he needs is for anyone to witness it. But when the witness turns out to be a pretty doctor, Tucker can't help but be drawn to her. When he finds himself in her ER twice right after that embarrassing incident, he knows that he needs to get her to let him take her out. But Aubrey Ross isn't just a random pretty doctor, she also happens to be the daughter of the owner of the St. Louis Rivers, the team he pitches for. Tucker repeatedly asks Aubrey to go out, but she turns him down every time saying that she is too busy to date and that it isn't a good idea for them to date anyway. But Tucker isn't willing to give up, and finally convinces her to give them a shot. But Aubrey isn't the only thing standing in their way, and her dad will be harder to convince than she was. I liked Tucker a lot. I thought that he was a great guy, and I loved his persistence. He didn't give up on what he wanted, and I liked that he was able to have fun with Aubrey and get her outside her head for once. I thought that he was great for her, and that he was very easy to like. Aubrey on the other hand drove me nuts for most of this story. She was hot and cold, and her wishy washy ways got old rather quickly. One minute she is turning him down, and the next she is mad that Tucker sent her a text rather than called her. She didn't want to go out with him and kept turning him down, but then she was disappointed that he didn't make more of an effort. I thought that these two had chemistry and were great together, but honestly Aubrey got on my nerves and I did begin to wonder why Tucker kept putting up with her crap. Not only that, but then he would always be the one to apologize to her as if he was the one always to blame. She had every bit as much responsibility in the things that went wrong for them, and it really irritated me that she wasn't ever the one to accept any of the blame. 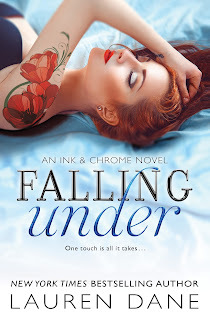 Beyond the issues I had with Aubrey, I also felt like the conflict in this story was very predictable and was so common in romance stories that it wasn't anything new or different. I was waiting for something about this story to stand out to me, and unfortunately this one was similar to so many other stories that I have read before. While that is all good and fine if you are looking for a run of the mill contemporary sports romance, I wanted something to really make this one unique or memorable and that just never happened. I didn't like how Aubrey reacted to the situation with her father, (again blaming everything on Tucker), and I felt as though she was way too quick to judge when she should have also thought about the situation he was in and given him the benefit of the doubt. Add all that to a rushed ending, and this one was just okay for me. While I have loved books in this series, this one wasn't my favorite. I will also say that things got a bit confusing at times with all the secondary characters here. It was great to see some familiar faces, but at times it got to be too many and too much. It was a little bit like how many names can we drop here, and for those not familiar with the series I would think it would be very confusing and hard to keep track of who was married to who, related to who, and played for which sport/team. It was hard enough for me to keep track and I have read most of the books in the series. While that didn't kill this book for me, I did think that the focus should have been more on Aubrey and Tucker and kept the other characters limited to those necessary to the story rather than just wanting to have as many as possible make an appearance. Tucker's brother Barrett is up next in Unexpected Rush, and it will be interesting to see what happens in his story. 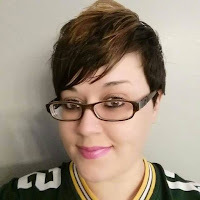 Meet Danielle Rose author of Blood Rose. 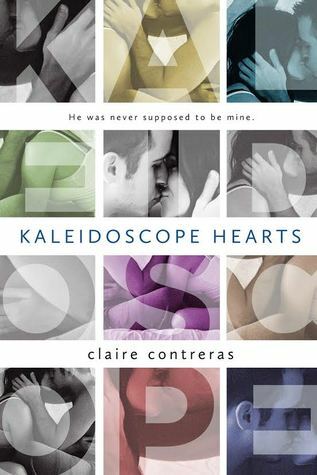 Kaleidoscope Hearts is my first book by Claire Contreras, but it won't be my last. I liked this brother's best friend romance, and I thought that it was a really good story. I will admit there were a few things that kept this one from being a five star read for me, but I enjoyed it and didn't want to put it down. Estelle (Elle) had fallen in love with a guy when she was a teenager, but things never went the way she wanted them to. Oliver broke her heart and left, leaving her to try and pick up the pieces. Now he is back, and wants her more than ever. But Elle has experienced even more pain is afraid that losing him again would destroy her. But Oliver is determined to show her that things are different this time and that they belong together. I liked both Elle and Oliver. I enjoyed seeing their past and present as they got to know one another. These two had a connection, and it was easy to see that they were able to open up to one another in ways that they couldn't with others. But because of how Elle's brother acted, I could see why Oliver would have been afraid to pursue anything with her. I am not saying it was right, but I do understand. I think that Oliver made some really bad choices though, and he really hurt Elle on more than one occasion. His hot and cold act was the hardest thing for me to get over in this book. I felt like it happened far more than was needed, and I kept waiting for it to stop. Elle had her moments with me as well, but I kept thinking about how much she had been through and I could see how that would affect someone. She had a big heart, and I loved how she used her creativity to help others where she could. I felt the chemistry between Elle and Oliver right away, and I liked seeing them figure things out. My other big complaint with this one was that things seemed to be a bit drawn out at times, and that would cause the book to drag a bit. I think part of that was Oliver's whiplash behavior. I wish that these two had started to figure things out a bit sooner, and I think it would have been easier for me to put up with some of that had I seen more progress for these two. But I did like them together, and was glad to see how things worked out. Kaleidoscope Hearts is a standalone, but there are more stories in this series that will center around interconnected characters. I am really looking forward to reading those and seeing more of all these characters. 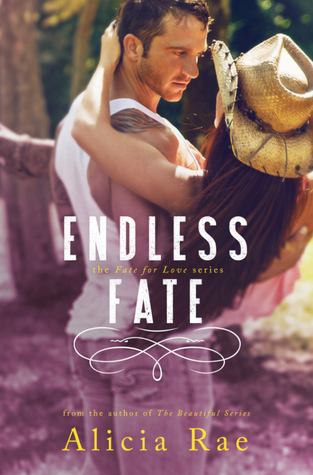 Endless Fate is the third and final installment in the Fate for Love series by Alicia Rae. This is the conclusion to Paige and Colton's story, and needs to be read in order. If you haven't read the previous two books you will need to start there. I have been waiting to see how things would play out for these two after everything that they had been through, and I was really happy with how things ended. I have loved these two from the beginning, and their journey has been one that I have really enjoyed. As Colton and Paige continue to rebuild the ranch, their friends and family rally around to support them. But Paige is struggling with the knowledge that she took a human life, and she would do it again in a heartbeat. She knows that she needs to let Colton in and allow him to help her, yet she wants to be the strong woman that he deserves standing at his side. Just as they start to move forward with their lives, a new danger threatens to tear them apart once again. Can Colton and Paige find a way to make the newest threat go away for good? Or will their forever be stolen from them? I have loved Paige and Colton from the beginning of this series, and that has never changed. Each book has showed them growing and changing, both as individuals and as a couple. Their love has always been deep and true. These two were meant to be together, and have been close since they were kids. But they are no strangers to struggle, and have had more than their fair share of obstacles. I really felt like they have always been able to lean on each other for support and encouragement though, even when it looked like they were trying to shut the other out. Their connection was too strong to ever allow them to remain apart for long, and they have the kind of love that can endure all. That was never more apparent to me than it was here, and they continued to show just how perfect they were for one another. I will say that there was quite a bit of drama in this book, and for the most part it was something that I hadn't expected. While it made sense in a way, it also felt a bit forced to me. I just didn't believe that after everything that had happened that this kind of thing could really take place and not be stopped or noticed by others around them. I don't want to spoil anything for those that haven't read, so I am trying to be as vague about it as I can. But I just thought that the actions of the person causing the latest issues was a bit much and I didn't understand how that person could have been the way that they were with all the information that they had. Not only that, but the people in the community with how they treated Paige and Colton. It just didn't sit right for me and I didn't see how they would be able to act the way they did with the information available. I did like how everything ended though, and I could not have loved Paige and Colton more. It was great to see familiar faces as their friends and family helped them out, and it never gets old getting glimpses into the HEAs of characters that I have read about and loved. I know that I will read whatever Alicia Rae comes up with next, and I cannot wait for her next book. Meet Jamie Shaw author of Chaos. Strong Enough is my first M. Leighton book and I'm definitely interested to see what the future holds for this series. This book is the story of Muse and Jasper. Must hires Jasper, who she believes is a bounty hunter/investigator or whatever, to find her missing father. The story is supposed to be about how Jasper isn't what he seems and how perhaps Muse shouldn't trust him but that didn't work for me at all. I'll tell you why- because of Muse. Muse was as flighty as her name and she was giving me acid reflux with her willful blindness. To me, from very early on in the book there was no question about Jasper's intentions or what the situation was with Muse's father. Throughout the book I struggled to understand why Muse ALWAYS seemed to be the last person to the party. If we assume "the party" was figuring out obvious facts. The whole reason Muse was separated from her father should have set off her alarm bells but nope. Muse never stopped to think about whether it made sense or what might really be going on there. If Muse was the only character in this story, I would've probably thrown my Kindle right out the window in abject irritation. Lucky for my Kindle, this story includes Jasper. Jasper is every flavor of dark and brooding alpha male that I looooove. In fact, when this book opens up, it opens with a scene from Jasper's childhood that is as gripping as it is disturbing. That opening scene provides the framework for all of Jasper's effed uppedness (that's a word). From that point on, I was captivated by Jasper's story including who he became and how he dealt with the craziness that was his early life. As for Jasper and Muse together, I liked the relationship but again that was mostly because of Jasper. I just felt like Muse was kind of stumbling around being shocked by ish that everyone else saw 50 pages ago. But I loved that Jasper protected her even when it required him to overcome fears embedded in him since childhood. And even though we see it in every book, I love the jealous hero who growls at every man who gets near his woman. It might be scary in real life but I love to read about it. Despite Muse's persistent dingyness (again, that's a word), I did feel the connection between her and Jasper and I was very much rooting for them by the end of the book. I had to knock off a star because Muse worked my last good nerve but all in all, this book was better than just good. The writing and imagery is especially strong and the book has dual POVs which I love. I recommend giving this one a try. 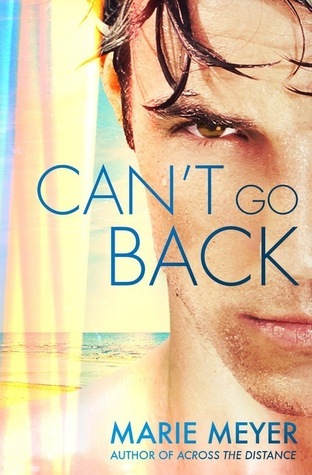 I was really looking forward to reading Can't Go Back by Marie Meyer. I had really enjoyed reading Across the Distance by her, and was excited to get Griffin's POV which is the one thing I felt had been missing from that book. Can't Go Back is Griffin's side of the story told from his POV, and while I knew that I also expected to get some new content. There was some content that was new here since it was from his POV and he and Jillian were separated for so long. But I have to say that I didn't really feel as though we got much else here. This wasn't what I had expected at all and I was mostly disappointed with this book. I honestly thought that I would like Griffin more here, but sadly that wasn't the case. I felt like he had absolutely no reason to be with Erin. He pined for Jillian the entire time they were together, and repeatedly tried to convince himself that he should be with Erin. First off, that wasn't okay to do to Erin. How she wanted to stay friends when everything played out was beyond me! Second though, I didn't honestly get it! Even if he didn't want to be with Jillian for his weak excuses (and believe me they were weak! ), that didn't mean that he had to be with anyone else! He didn't seem to really like her (beyond kissing her) and when things started to really go anywhere things always came back around to Jillian. He didn't seem to like spending time with her, he didn't seem to have any kind of connection to her, so the longer things went on the more frustrated with him I became. I didn't get it and quite frankly it made me start to dislike his character. If he wanted Jillian but didn't want to be with her in fear that she would give up her dreams, he should have just been alone. The biggest issue here though was how repetitive this book was. Not only was it almost word for word the same and the first book, the new parts were just as repetitive. Most of the book was spent talking about how much Griffin missed Jillian and how much he loved her and wanted her, but why he couldn't be with her or tell her. It got old. The new stuff with the band didn't really hold my interest as it wasn't really that exciting, especially considering things would just go right back to him pining for Jillian but being with Erin. This book would skip large portions of time, months would go by and yet none of that was really explored. At the end of this book I was just left feeling pretty disappointed, and I really don't think that there was a need for this book. I think that Across the Distance and Can't Go Back could have easily been combined and written in dual POV, and it would have made for a much more satisfying story. I wanted to really dig deep with Griffin here and see what had happened to him while he was apart from Jillian, but it just seemed to be a rehash of the same story with Griffin constantly missing Jillian. I'm giving this one three stars because I really did like Across the Distance (and this is basically the same story) but I would probably suggest reading one or the other unless you just need to see the exact same thing from both sides. This can easily be read as a standalone. Meet T. J. Kline author of Close to Heart.